So the holidays are over. I usually make it a point not to make New Year's resolutions, but for some reason this year, I was moved to make a few, most in regards to my blog and my reading. 2. Decrease my TV and internet/Facebook time and increase my reading time. I feel like I literally stare at my phone for hours, refreshing and surfing. Even with my iPad right beside me, I stare at my phone. Case in point, I just took a break from typing this blog to check my phone. It's an addiction. 3. If I start a book and don't want to pick it up and continue reading it within a week, I'm not finishing it. I actually got this from my friend, Windee, who is very wise. I struggle with not finishing a book, no matter how much I'm not enjoying it. I have an almost compulsive need to finish reading a book util the end. Which then delays me from reading other books, because I'm avoiding that book. 4. To update my blog appearance and headers. 5. To show more of my true self in my reviews. I won't be mean because I have admiration for anyone who has written a book and gone through the work to have it published. But I haven't wanted to be part of the blogger/author wars, so I haven't always used my real voice in my blog for fear of being seen as a blogger that publishers don't want to deal with. And I think there have been times where I could have shown my true voice. With the holidays, I haven't added a whole lot to my overflowing TBR pile, but here they are. romantic. She’s spent most of her life falling in love over and over again…with the men she finds in the pages of her favorite novels. When Miko meets Liam Ashton, it’s love at first sight. At least, for her. Sure, the two of them are polar opposites, and yes, he seems to be dating someone new each week. 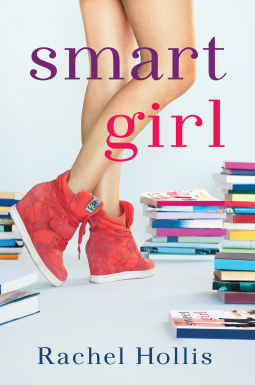 But Miko knows what true love is and that you can’t rush it—after all, what she lacks in real-world experience, she makes up for in book smarts. With novels as her guide, and her best friends by her side, she knows she can get Liam to love her back. But just like any good romance novel, fate has a few plot twists in store. Will Miko get her own happy ending? Will she find the strength to stand up for what she deserves even if it means breaking her own heart?